The XFINITY series has raced 32 times this season and just four drivers remain in contention for the championship. In a peculiar happenstance, the win woulds all be their first series title. The four drivers making up this year’s Championship 4 are Christopher Bell, Cole Custer, Daniel Hemric and Tyler Reddick. 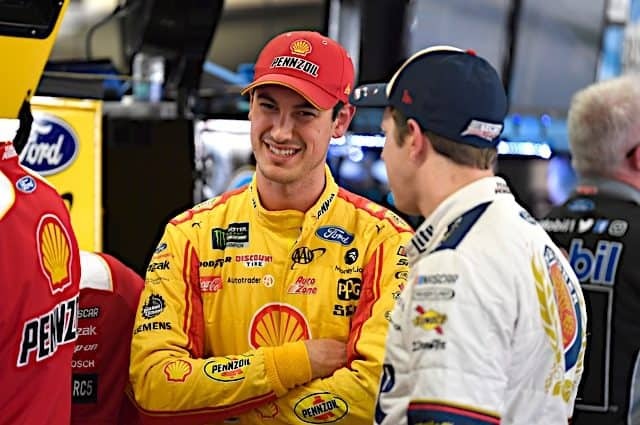 A pair of rookies and a pair of second-year drivers, with Hemric being the only one of the four that has made it this far before (2017, fourth). Two of the drivers bring in a little west coast, no-holds-barred swagger to the championship race. One is a midwest dirt slinger, while one has made a living on short tracks. Out of the three Championship 4 races in series history at Homestead-Miami Speedway, this might be the most intriguing. Hands-down Bell is the favorite for the title. As a rookie this season, he’s grabbed a series-high seven victories, albeit six of them have been on tracks being one-mile or shorter. 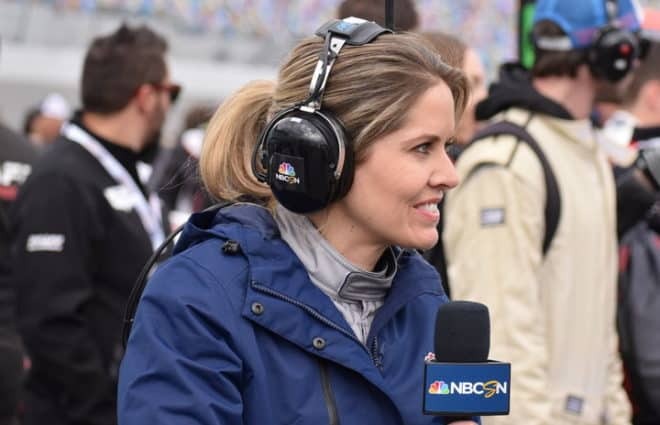 However, Bell is coming off a 2017 Camping World Truck Series championship and is the only one of the four that already has a NASCAR championship. But 2018 has been hit or miss for the No. 20 Jason Ratcliff-led team. Just look at the opening two races in the Round of 8. Bell crashed out on the first lap at Kansas Speedway when Justin Allgaier got loose underneath of him and finished 37th. At a reconfigured (2017) Texas Motor Speedway, the No. 20 sat on the pole, but he got loose in Turns 1 and 2 on the first lap, setting him back. He rebounded to fourth in the first stage and fifth in the second stage but was turned by Austin Cindric on lap 133 ending his day. 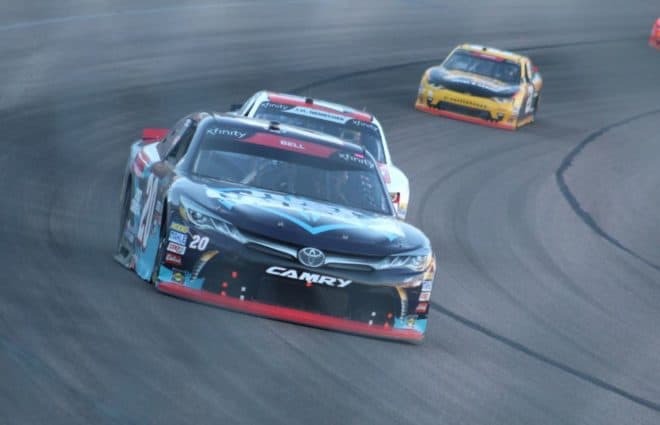 Bell went into ISM Raceway last weekend (Nov. 10) having to win. The No. 20 car failed pre-qualifying inspection four times, meaning he would have to start at the rear of the field. It didn’t take long for him to get to the front. Just past halfway, Bell grabbed the lead where he didn’t look back en route to a walk-off, bottom of the ninth home run per se. That’s what got the rookie driver to Homestead. Of the six playoff races, Bell has won three of them — two of which were in the first round. In the opening 32 races of the season, the No. 20 car has the aforementioned seven victories with 11 additional top-five finishes, totaling 20 top 10s overall. On the flip side, Bell has six DNFs with five finishes in the 30s. The championship runs through the No. 20 team. Dirt racers typically rim-ride against the wall at Homestead, just ask Bell’s mentor Kyle Larson. Bell is the odds-on favorite. As college football analyst Lee Corso would say, “not so fast my friend.” Cole Custer is a driver to be reckoning with at Homestead. Sure, he has two starts at the track, one that went extremely well and the other was just another day in the office. But based off last year’s race, maybe Custer is the favorite. After qualifying second, Custer took the lead very early on in the race, where the No. 00 car would lead 180 of 200 laps, at times having a half-lap lead on the competition. He was on rails that warm, sunny night in South Beach, but can he back that up? The numbers say yes. 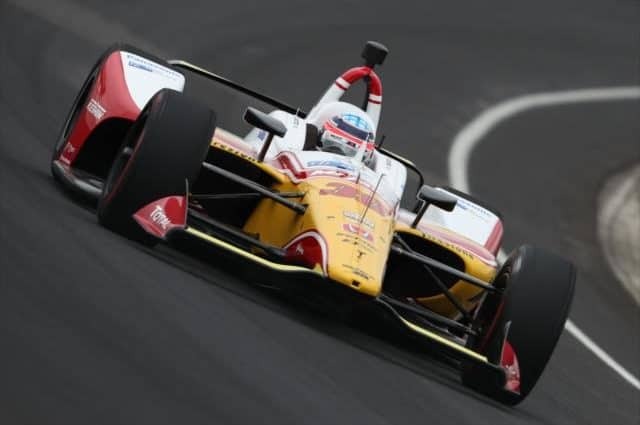 Custer only has one victory this season, coming at Texas two weeks ago to clinch a spot into the championship race, but damn he’s been consistent in 2018. He’s led 294 laps on the year, 54 of which have been in the past four races. Meanwhile, he has a series-high 25 top 10s and 13 top fives. Compared to Bell, Custer might not have the raw speed, but looking at how he raced in the closing laps at Texas with Reddick, you put that trophy on a string and he quite possibly could grab it. Custer told Frontstretch earlier this season that if he could get to Homestead, he felt confident the No. 00 team could deliver the championship to Stewart-Haas Racing. Well, here we are, and Custer has an opportunity of a lifetime. Out of the four drivers eligible for the championship, Hemric is the only driver that hasn’t won a race in either of the last two seasons. Regardless, he made it to Homestead in 2017 solely on consistency. This year the No. 21 car has found more speed that is coupled with Hemric’s experience. At 27 years old, Hemric is the old guy in this years Championship 4, but for the second straight season might be the darkhorse. Imagine this — and it’s something that’s been discussed on the Fronstretch Podcast this year — Hemric making it to Homestead and winning his first race in walk-off fashion en route to the title. That’s a real possibility because he’s been the most consistent driver in the playoffs, even with Bell having three victories. 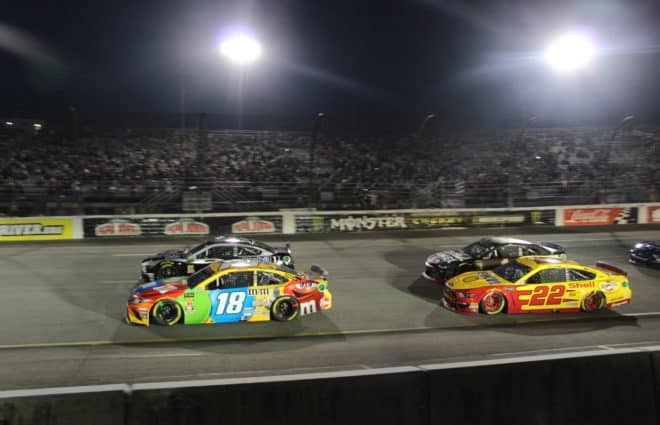 Kicking off the postseason at Richmond Raceway, Hemric led 35 laps, though he finished on the bottom rung in the podium. At the ROVAL, he had the quickest car, but a late mistake ultimately cost him the victory hunting down Chase Briscoe. 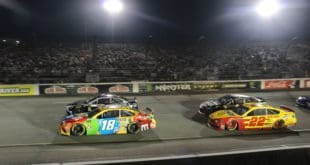 At Dover International Speedway, it was a pit road speeding penalty after leading 23 laps and a stage two victory that ruined his chances of that coveted first victory. In the Round of 8, he had the best car at Kansas, leading a career-high 128 laps, though he lost on a late-race restart to John Hunter Nemechek. The No. 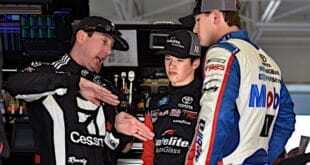 21 car had speed again at Texas but was spun late in the race by Richard Childress Racing teammate Shane Lee. At ISM Raceway, it was about managing his race, which he finished runner-up in for the fourth time this year. Hemric has been the most consistent car this season on mile-and-a-half racetracks. What is Homestead? Oh yeah, 1.5 miles. In the championship race last year, the North Carolina native didn’t get a shot at showing what he had with an early mechanical issue. But for one race, Hemric has to be more than just consistent, he needs to be great, so he can ride into the Cup Series as a NASCAR champion. Did someone say darkhorse? This guy is the real darkhorse! A 15-week summer stretch had Bell, Custer and Hemric, Allgaier and Elliott Sadler in a heated five-way battle to determine the regular season champion. The sixth driver in line was Reddick and the No. 9 team, and while the others were consistent, he was the opposite. Reddick kicked off the season with the highest of highs, edging out JR Motorsports teammate Sadler for the win at Daytona in the closest margin in NASCAR history. That race was a five OT barn-burner, and he might need that this weekend in Miami. Reddick has 19 top 10s in 32 races — the lowest among championship-eligible drivers. But since the playoffs started, it seems like a different, more composed driver has been competing in the No. 9 car. He piloted the machine to five top 10s in six races, with a worst finish of sixth in the Round of 8. Last year, Reddick won the pole at Homestead, finishing fourth. This year, he would like those numbers reversed because a win assures him the title before moving over to RCR in 2019. The lowest Reddick will finish in the series standings is fourth, but the Californian can wheel a car around the outside wall, and that’s what drivers will have to do at Homestead. Regardless, he will be the highest finishing JRM driver this year, which is a win in itself. Prediction: Christopher Bell edges out Cole Custer and Daniel Hemric for the title finishing in positions 1-3. Tyler Reddick gets in the wall, rebounds for a top-10 effort. On Friday (Nov. 9), Chip Ganassi Racing and DC Solar announced Ross Chastain will pilot the No. 42 Chevrolet for the full season in 2019. This year, Chastain has made a staple of overachieving for JD Motorsports, clinching a playoff berth. He got his illustrious first win in the regular season finale at Las Vegas Motor Speedway driving the No. 42. 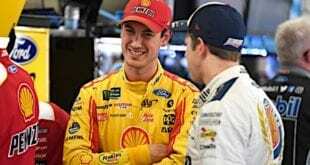 After splitting time between Team Penske and Roush Fenway Racing this season, Austin Cindric will be the sole driver of the No. 22 Ford in 2019. He was recently eliminated from the postseason in the Round of 8. 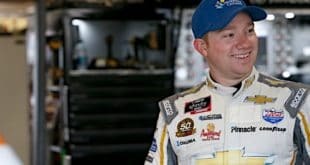 Jeffrey Earnhardt will make a return to the series in 2019 for Joe Gibbs Racing. With sponsorship from Xtreme Concepts Inc., Earnhardt will drive the No. 18 Toyota in nine races.